Here's a chance for all the hockey moms out there to get in on the action! 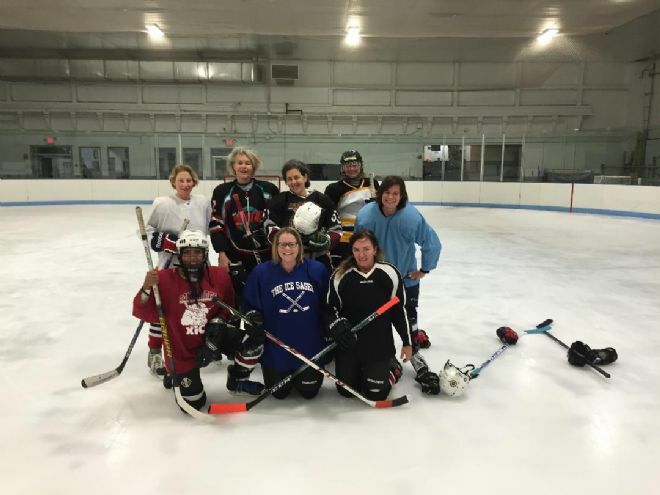 Cambridge Youth Hockey is running a class for adult women who would like to learn to play hockey. You'll bring full hockey gear, including a helmet with a shield or cage. Each session will conclude with a scrimmage to put your skills into action. The goal is to provide a fun, safe, and relaxed environment for all of the moms who want to enjoy hockey as much as their kids do! "Drop-ins" welcome at $20/session to be paid to coach at the rink. Click here to register! Questions? Contact coaches Jake Jaffe and Robin Lubbock with a message to the CYH page on Facebook.